Fully automated All you have to do is to select TLD and domain name and we will do the rest. Realtime registration and management All changes that you do to your domains are sent to ICANN in the real time. 502 TLDs We offer not only most popular TLDs but also some of the rare ones, to give you more options. Attractive volume discounts Better prices, just for you! Organise all your domains in one location. Register today and enjoy low cost domain registration. Want access to SSL certificates? Register today and you will get immediate access to our full range of SSL certificates. Backup Master has many advantages over its competitors. 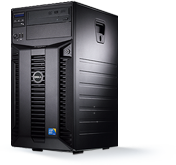 Besides the highly competitive pricing, working with Backup Master is very simple and pleasant. This is because Backup Master an intuitive web interface system used. You decide now how often, when and where you have a backup makes a snap. 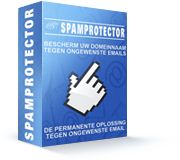 Spam is a growing problem worldwide for companies, associations and individuals. About 90% of global email traffic is spam. It is expected that this percentage will only increase. Besides the impact of spam on the existing email infrastructures and lost productivity caused spam.